The Cavenagh and Bennett St intersection is being upgraded for better city access for commuters and pedestrians. There have been delays with the upgrade to the Cavenagh / Bennett Street intersection, this has been due to the presence of rock and clashes with utility services which have required the review of the design and construction methodology for the shade structures. Please follow all traffic management diversions and directions. The intersection upgrade will improve commuter access to the city centre, create safer traffic movement and improve pedestrian amenity. 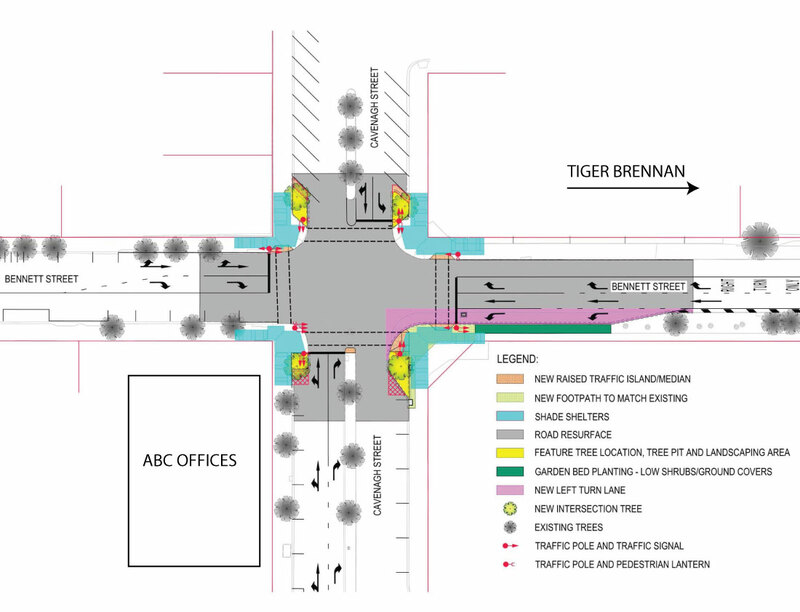 The intersection of Cavenagh St and Bennett St provides access to the city centre from the key arterial link of Tiger Brennan Drive. 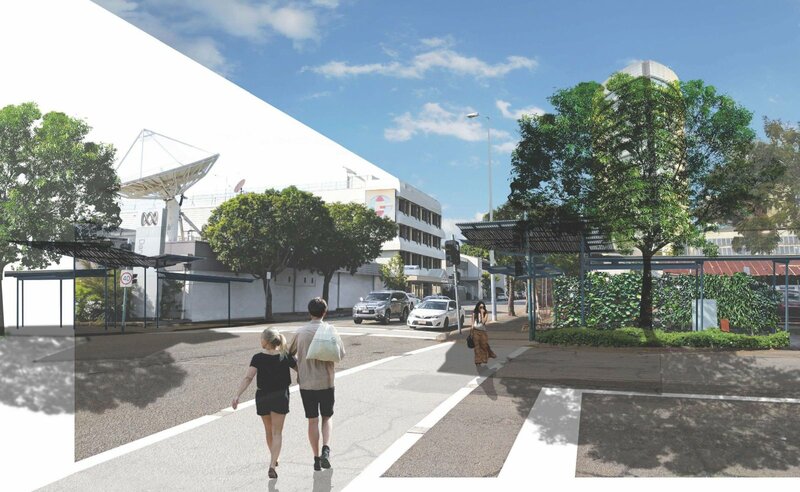 There is already congestion and delays at this intersection in peak hour periods, which will continue to increase as the city centre and population grows. As you drive into the city there will be a new dedicated left turn lane on Bennett St into Cavenagh St. This will create three lanes on Bennett St (inbound): left turn only, straight ahead and right turn only. This will provide greater efficiency, particularly during the morning peak hour traffic. We're committed to cooling the city to create an environment that encourages more people to walk and visit the city. 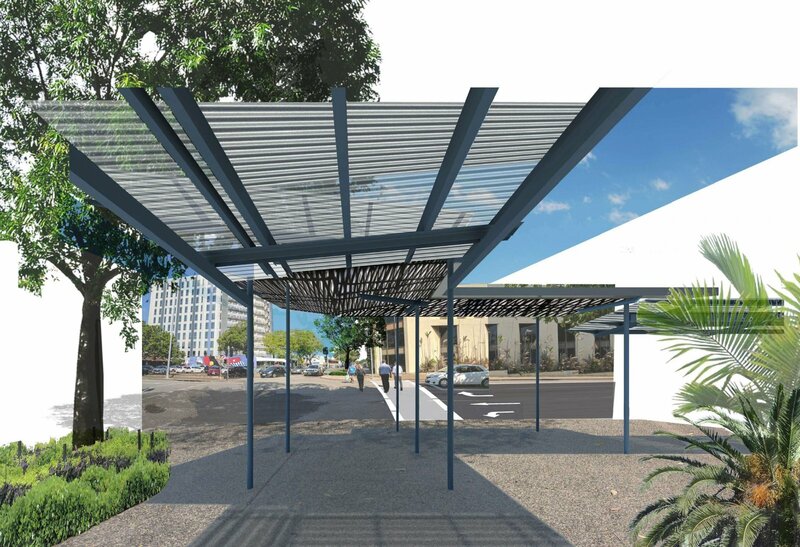 This intersection upgrade will include shade structures on each intersection to provide protection from the tropical heat as well as the Wet Season rain. The existing trees on the intersection corners will be removed to enable the shade structures to be constructed. The trees will be replaced with new trees planted alongside the shade structures. The $1.5M project is being funding by City of Darwin and the Northern Territory Government. Council was successful in obtaining $1million in funding through the Northern Territory Government’s Improving Strategic Local Roads Infrastructure Program. The injection of $1.5million into the local economy provides an important boost for local companies and jobs.